What Are The Best Men’s Colognes? The business of making and selling men’s colognes is a highly profitable industry, mainly because smelling good is quite important to many men. In fact, there are a lot of men who are even more vain than women when it comes to scents. It is for this reason that cologne makers from all over the world keep coming up with new scents for men on a regular basis, giving men literally hundreds of options when it comes to men’s cologne. But with this vast number of choices, many men find it difficult to choose which one is really the best for them. If you are wondering how to find the best men’s colognes for you, read on to find out which are the top brands today. Most men agree that when it comes to choosing a men’s cologne, versatility is one of the top priorities. They like a scent that can be worn to work during the day and still carry on nicely for a dinner date or for a night of dancing at the club. One such cologne that fits the bill perfectly is Usher for Men. When you wear this cologne, it won’t take long before the ladies start clamoring for your attention. Like Usher, David Beckham is another celebrity figure that a lot of men look up to, which is probably why David Beckham’s Instinct Cologne is also among the favorite scents of men these days. It is known for its distinctly classy scent, which makes it perfect both for daytime and nighttime use. Still another very popular scent created by a famous person is Antonio Banderas’ Blue Seduction Cologne, which has also been in the list of bestselling men’s colognes for the past couple of years. According to Antonio Banderas himself, this cologne is a truly masculine scent that is both classic and modern. He proudly adds that it is a representation of his culture and his own personal style. 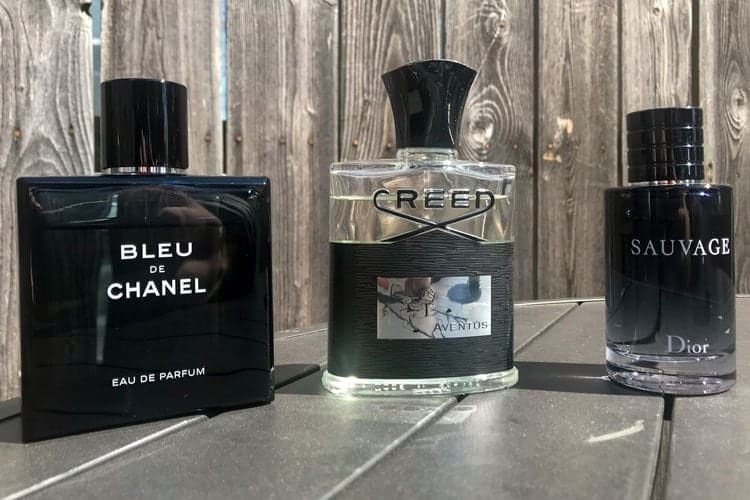 Without doubt, there are literally hundreds of choices when it comes to men’s colognes but many men are still hesitant to go for the particular scent that they like because of the high prices. While it’s true that many high-end colognes are quite expensive, there are ways for you to get them at a lower price, such as by buying them from online wholesalers, or by purchasing the less expensive sample bottles. You can also wait for inventory sales and other discount promos so that you can finally have that perfect men’s cologne without having to go over your budget.